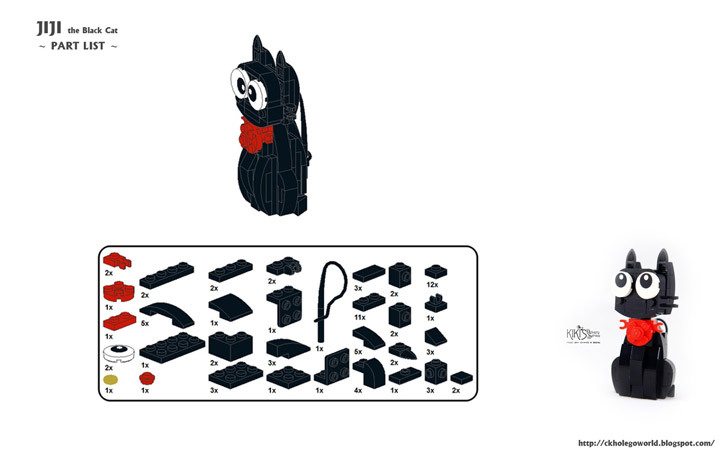 “Let’s build up your own Jiji and bring it back home! 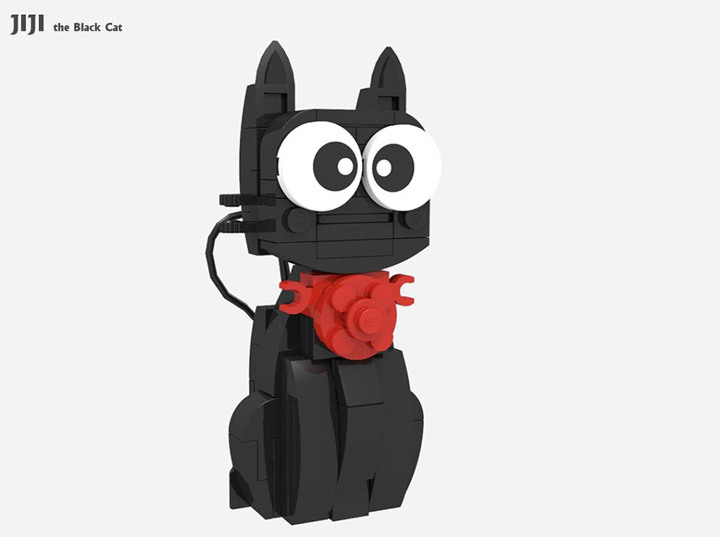 JiJi the Black Cat is the male pet cat from Kiki’s Delivery Service. Kiki and JiJi get in a lot of adventures including a scheme where JiJi needs to imitate a stuffed cat for a birthday party. Interestingly, in the original Japanese version the cat has a feminine voice and is cute/humble. In the American version the cat has a deep male voice and is extremely sarcastic. Either way JiJi is a memorable character. 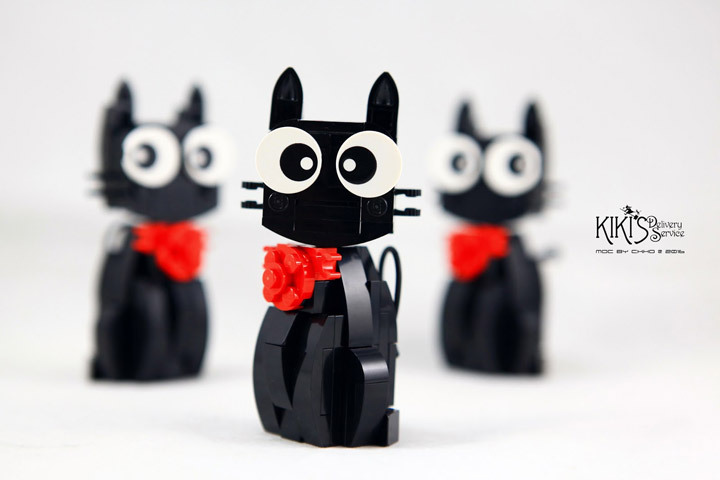 Lego fan Ck Ho (傑爸爸) has created a cute little MOC. The best part is that they went though the trouble of designing instructions. Which are publicly available. Tigers, Elephants, And Bears! 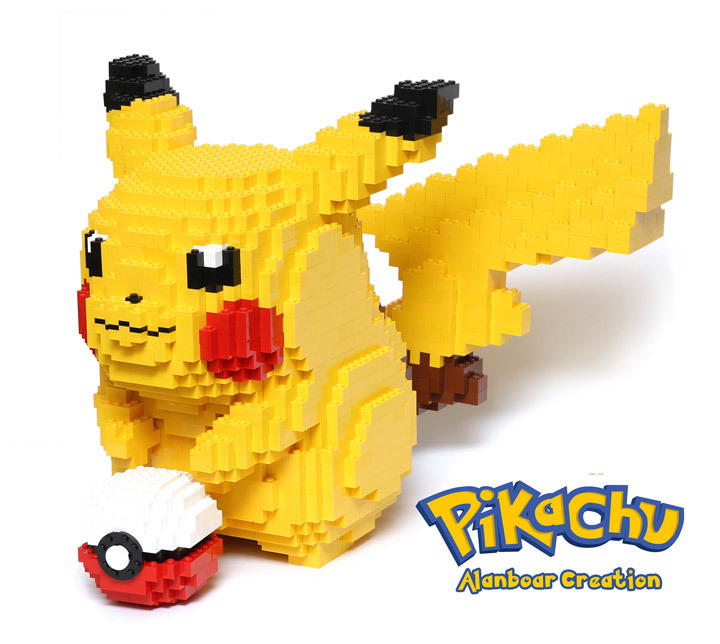 The Lego Animal Stackers. 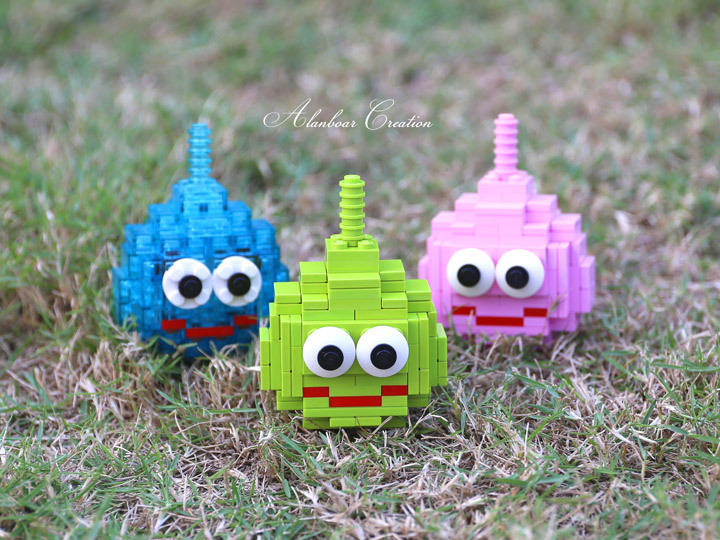 Here is a super fun project. 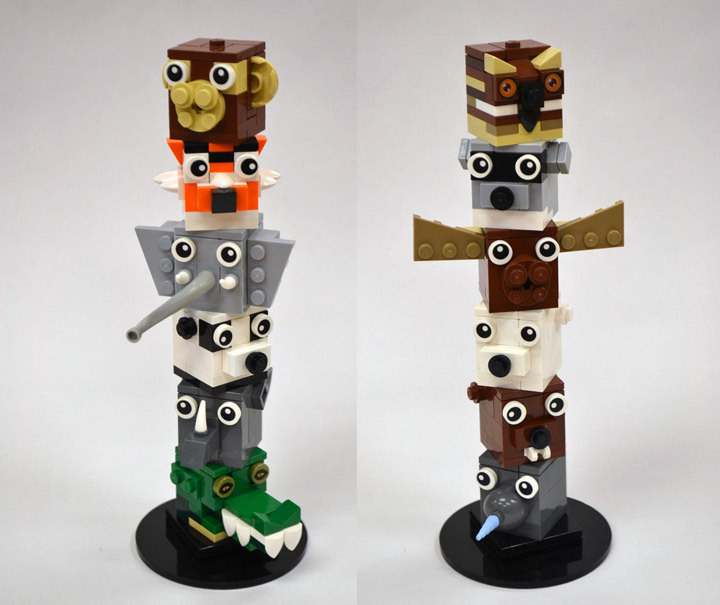 These are the Animal Stackers, created by Adam Dodge. 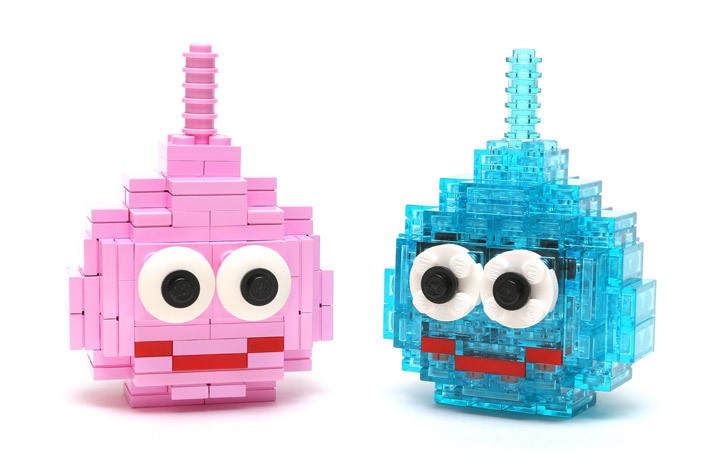 They are based on 3×3 cubes and feature a single stud on top. Allowing them to easily stack on one another. 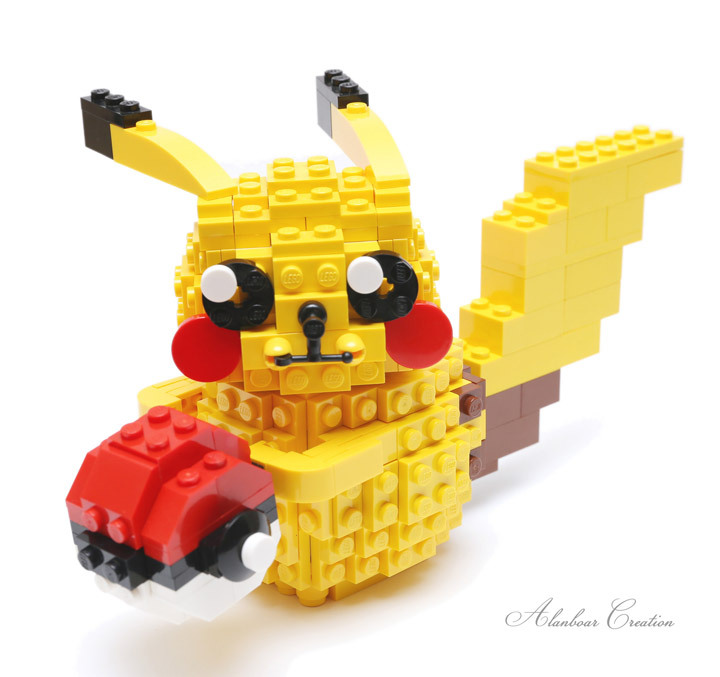 A sort of Lego Totem. This series has 2 sets of six. The North American set contains an Owl, Raccoon, Moose, Polar Bear, Beaver, and a Narwhal. The African set contains a Monkey, Tiger, Elephant, Panda, Rhino, and a Crocodile. There are also a few Stackers on their own, such as the Eagle and Penguin. 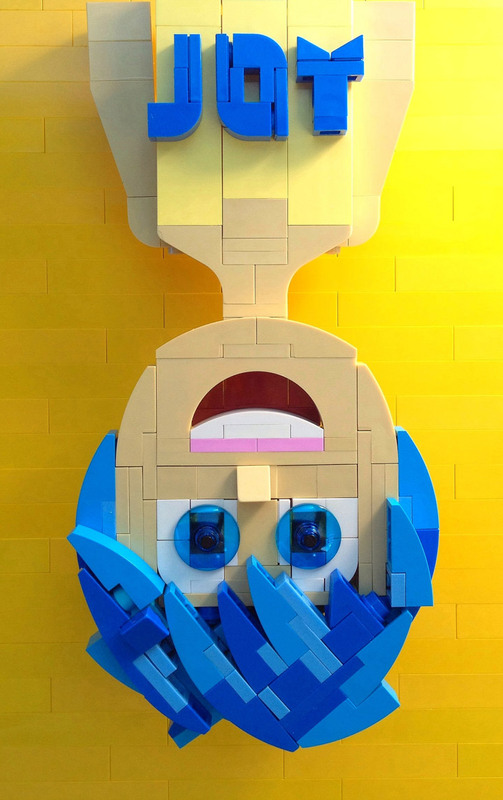 Check out this Lego Joy from the Disney/Pixar film Inside Out. 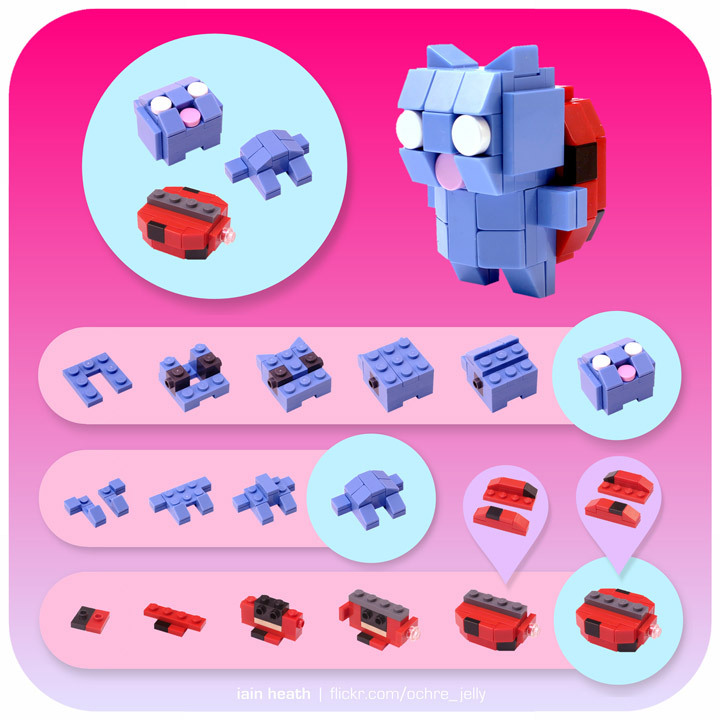 This Lego MOC is based on the official Joy Poster , and it is pretty accurate, maybe a little less sparkly then the movie version of Joy. The details that really stand out are the blue hair, and the shoulders. Plus there is a creative letter “O” there too. 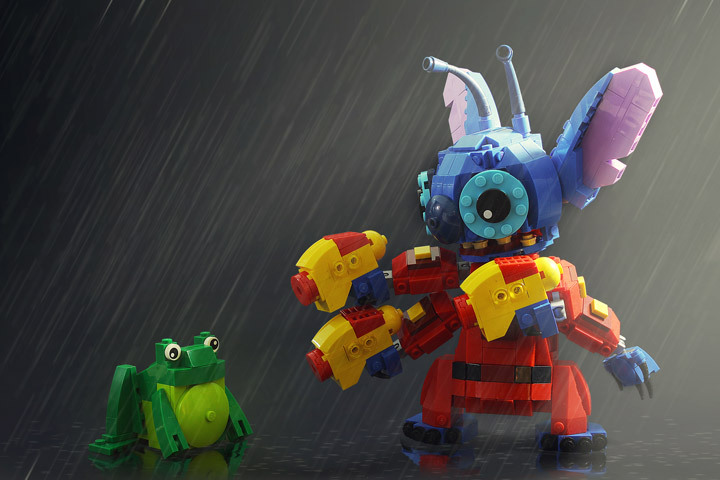 This Lego poster is created by Miro Dudas, who happened to be be inspired by the recent “Angry” Lego figure. 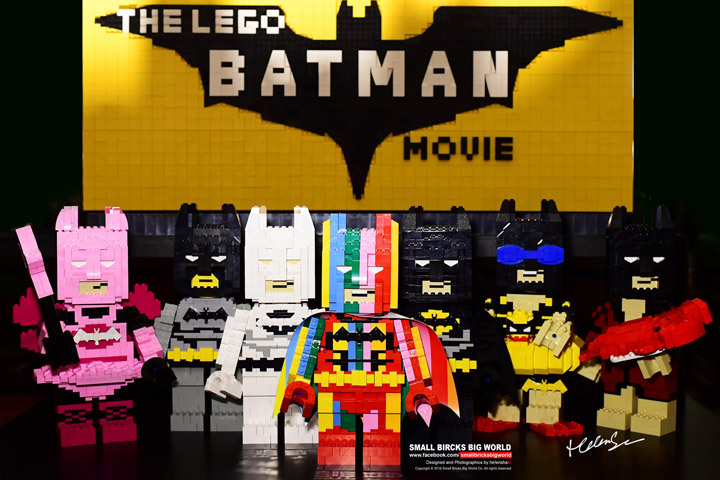 Maybe, we will actually get all of the feelings represented in Lego soon. If you spot any more, let us know! 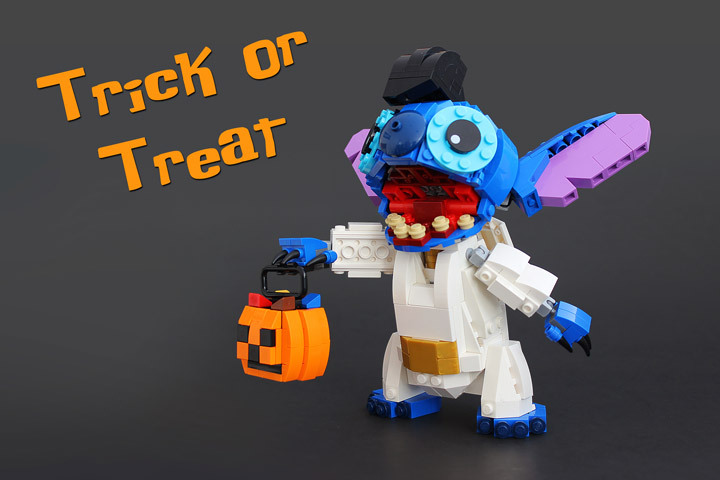 Lego has been making Disney related stuff for a while now. 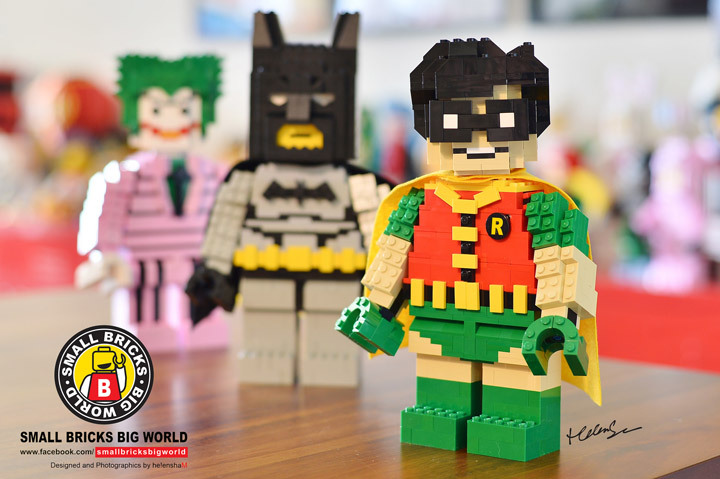 Toy Story, Princesses, Star Wars, Marvel Super Heroes, etc. 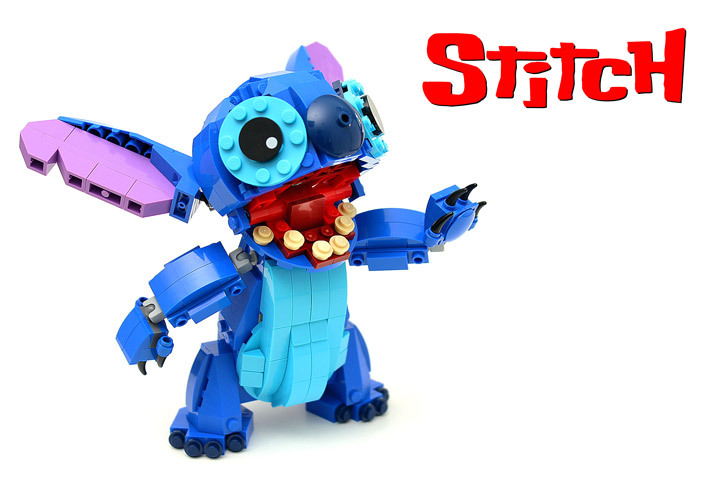 But, they have never made anything with Disney’s iconic animated mascots. No Mickey Mouse, no Donald Duck, no Goofy. 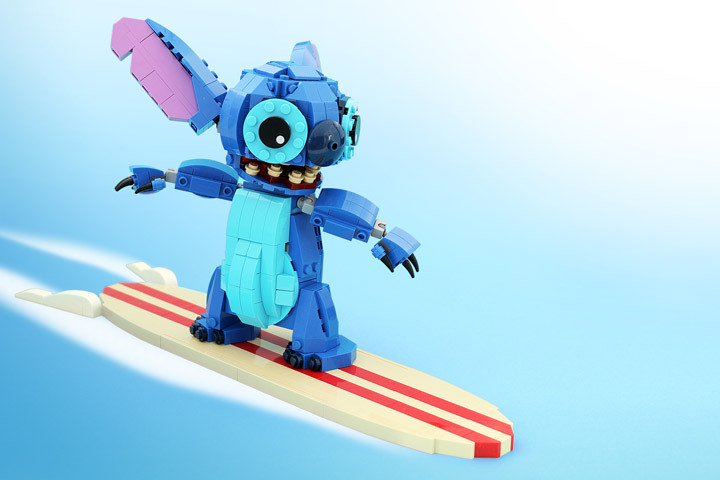 That might change in the future, but for now Lego and Disney fans must create their own. 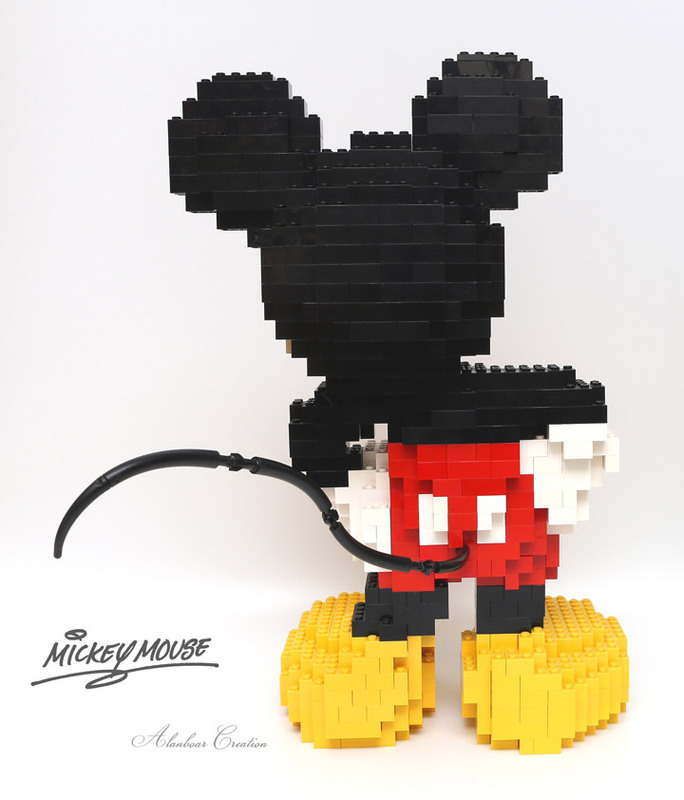 This Lego Mickey Mouse figure is the creation of Alanboar, who built Mickey for his son. 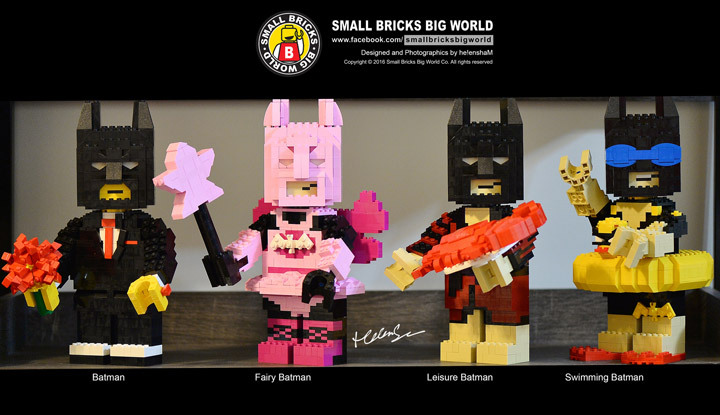 It features a very animated pose, and is amazingly expressive for a brick built figure. The massive feet, and the mouse tail are some of the highlights. 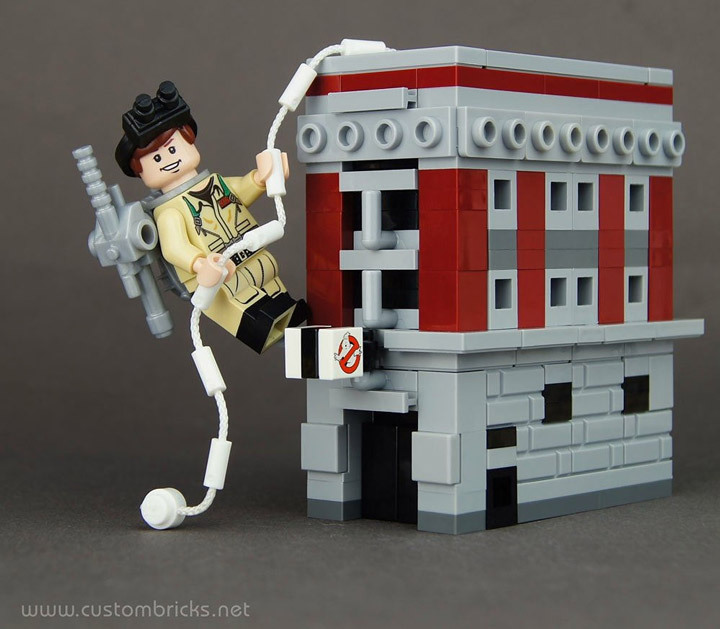 This MOC is spot on. Just check out the silhouette of Mickey Mouse. 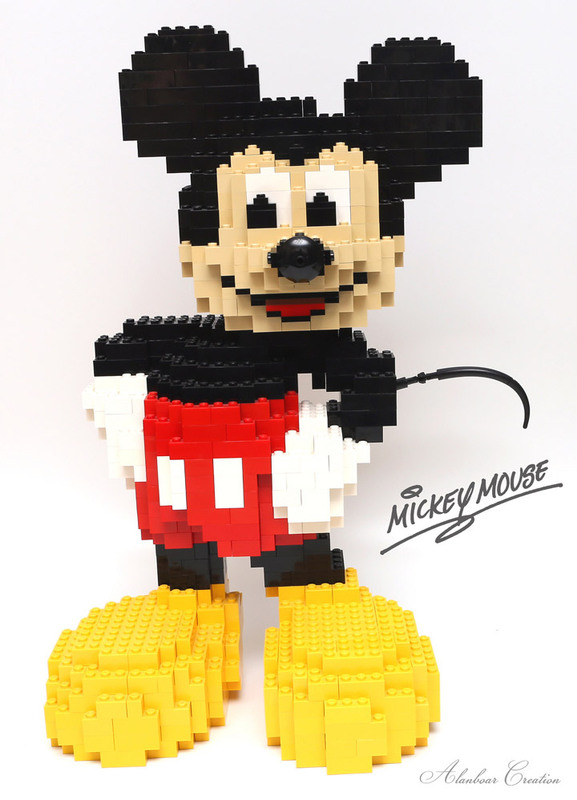 The round design of Mickey has been preserved well, especially considering the use of basic bricks here.